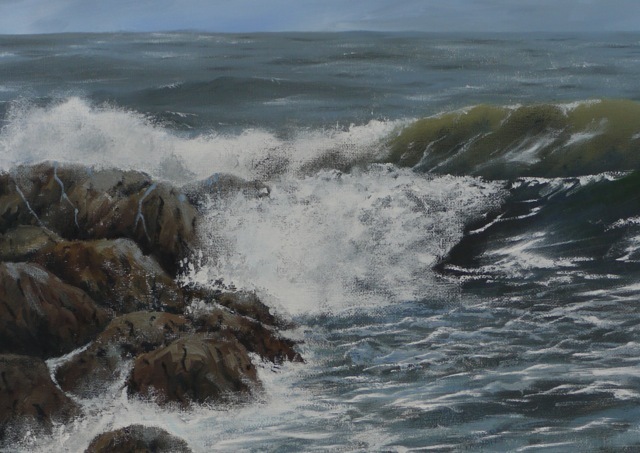 “I was born in Brighton and started painting some 25 years ago. 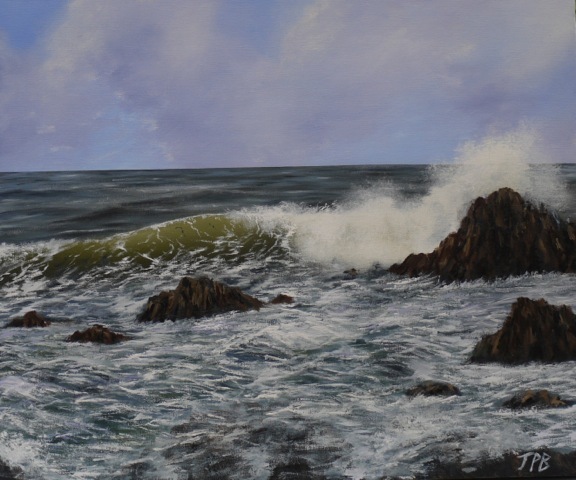 Like many who take up art after leaving school, I am mainly self-taught, attending some art classes in various mediums before settling on painting in oils. I now paint using water mixable oils. 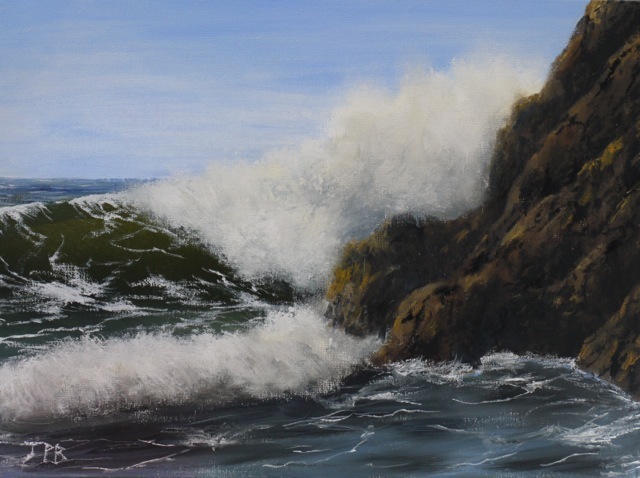 I was a design engineer and then design manager for nearly 35 years until I took early retirement at Christmas 2013. 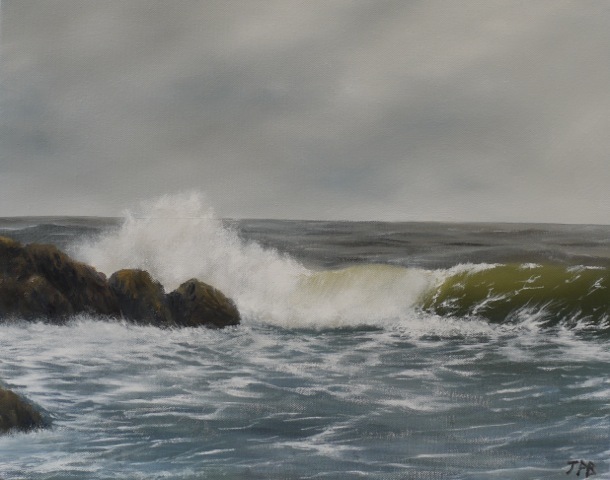 Having sold some paintings prior to this, I decided to take this opportunity to concentrate on painting and drawing, as well as tutoring in mathematics. 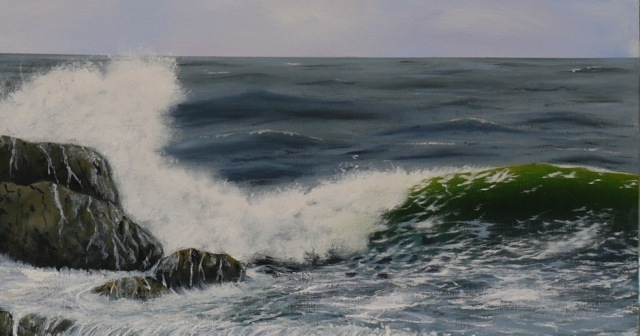 I have over the years painted many different subjects but I have always had a great love of the sea. 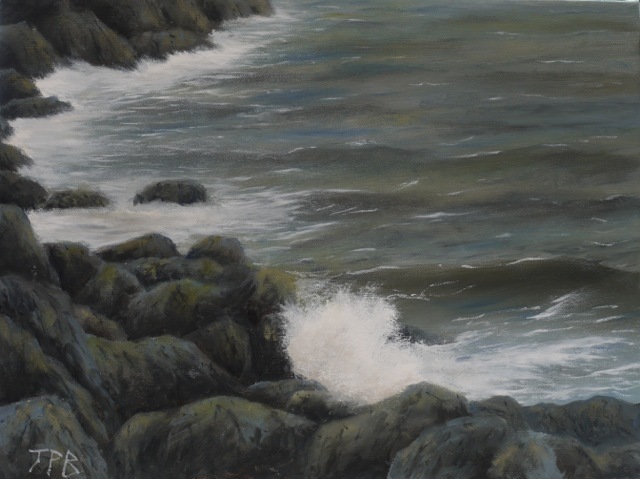 My main inspiration has been the varying coastline of the Northumberland coast. 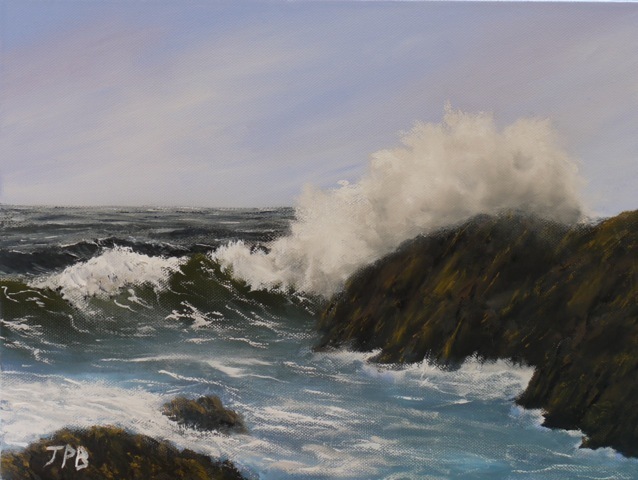 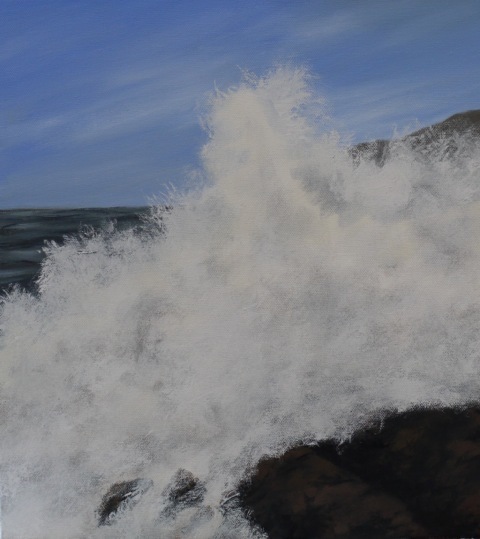 Rather than painting well known coastal landmarks I concentrate on painting the sea, in particular waves.